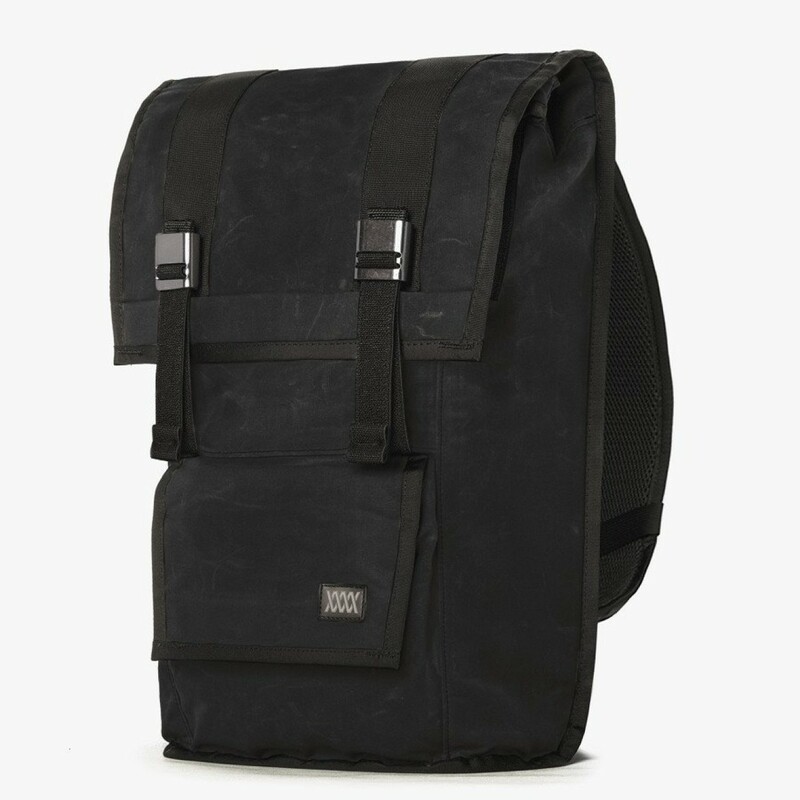 Our Waxed Canvas Rucksack is a compact weatherproof backpack designed to hold the daily essentials. 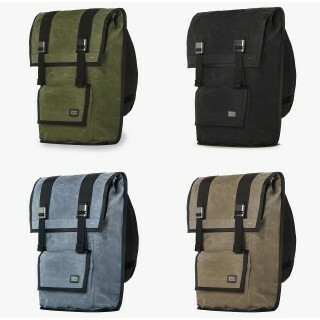 This latest release of Sanctions are available in three color variations combining American-made 10 oz. waxed canvas exterior with a gray light-weight waterproof liner. The weatherproof canvas will show wear patterns that reflect daily use. Each backpack features the Arkiv® closure system, YKK urethane coated zippers, waterproof materials, an internal frame sheet, and an optional waist belt. 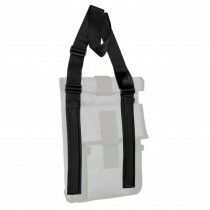 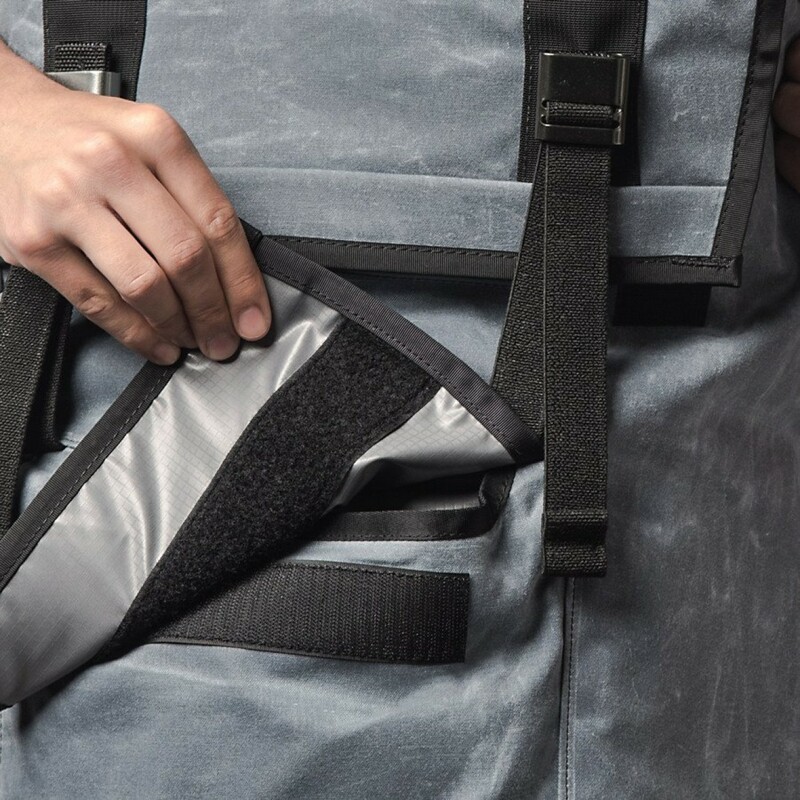 A large interior zippered pocket fits up to 15in laptops. 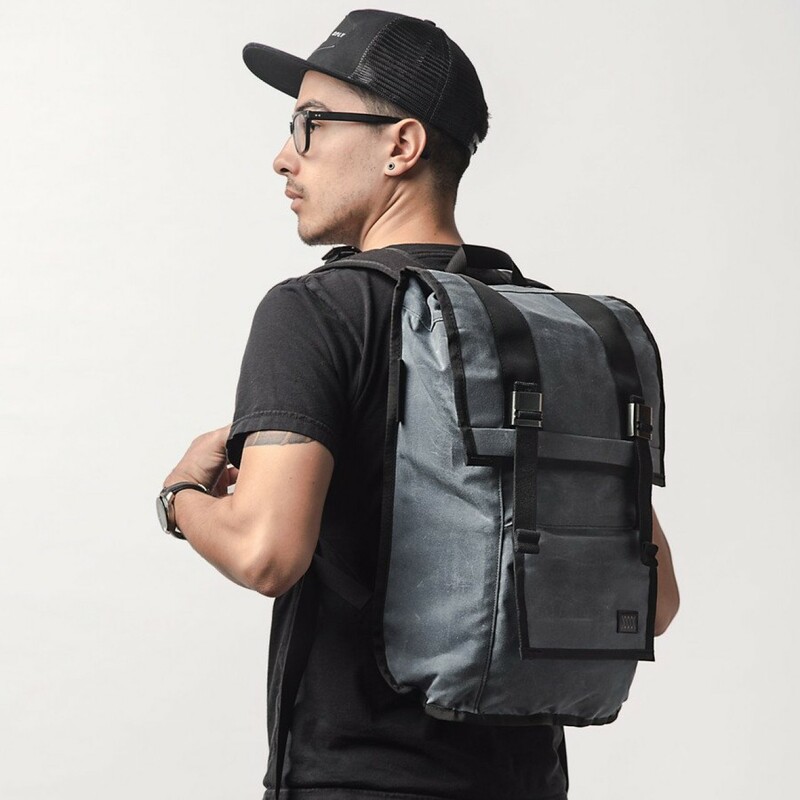 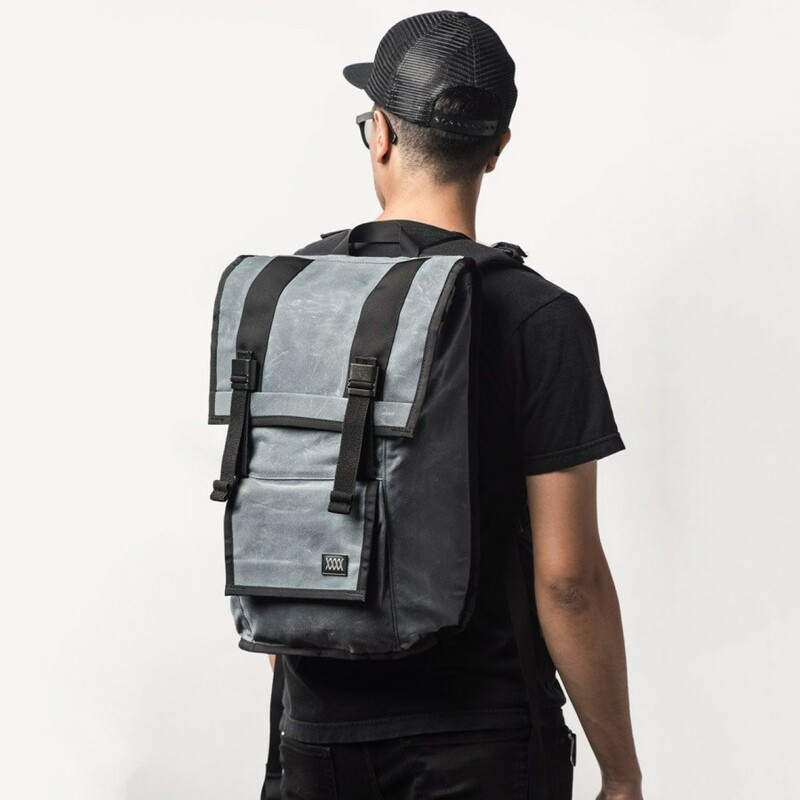 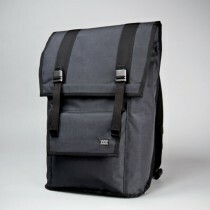 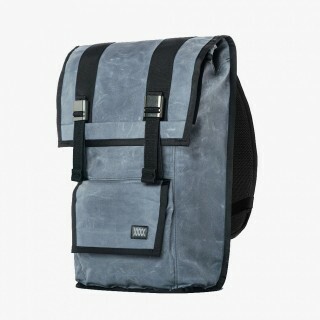 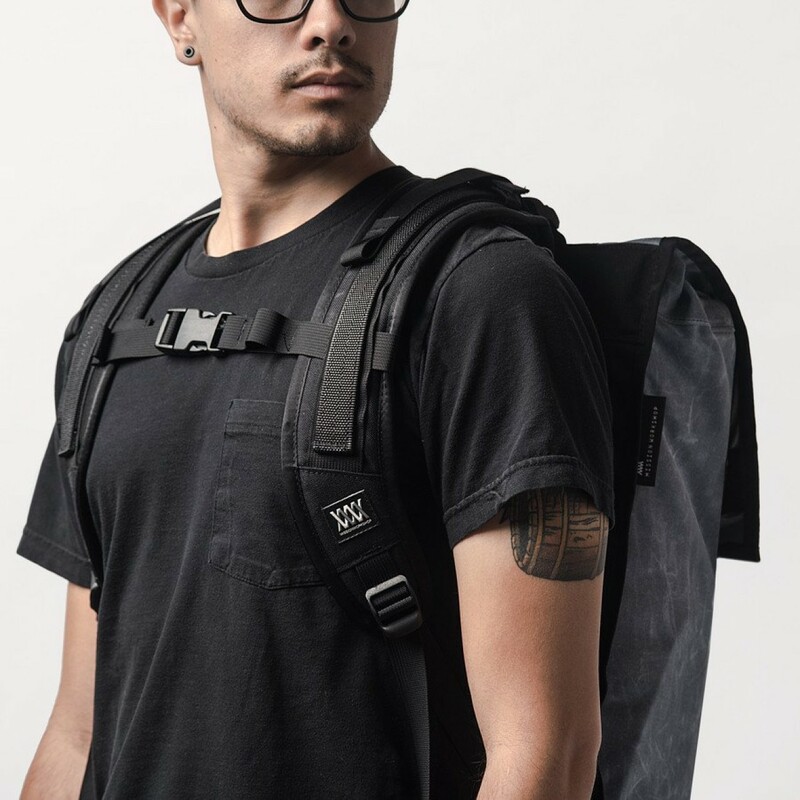 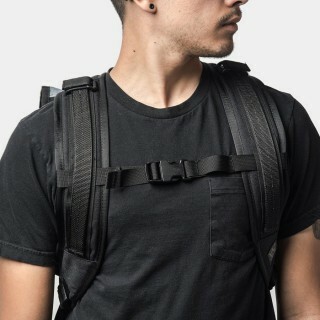 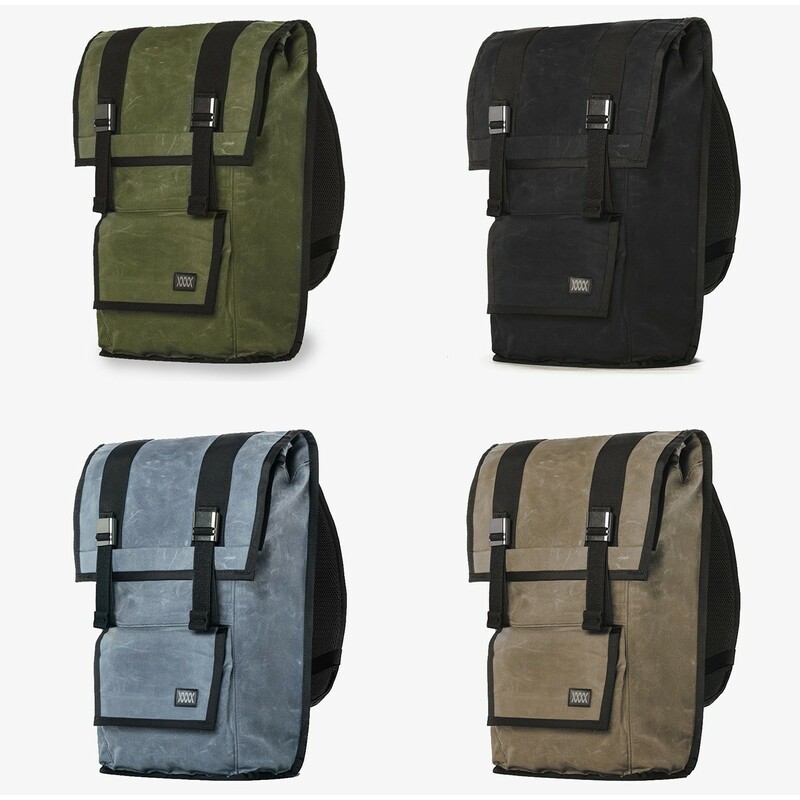 All Mission Workshop backpacks allow for the addition of single rail Arkiv® accessories on both shoulder straps. Made in the USA with a lifetime warranty.